In a 2006 interview with Q magazine, Madonna was asked which song of the last 20 years she wished she'd written. Her answer: Elliott Smith's "Between the Bars," an aching ballad the late artist contributed to the "Good Will Hunting" soundtrack. Madonna first performed a cover of this song during the premiere of her Secret Project Revolution in Manhattan on September 24th, 2013. After being dragged on stage by two actors dressed as police officers, one of whom shoved a microphone in her hand, Madonna delivered a delicate and emotional rendering of the beloved song while accompanied only by a piano. Halfway through the performance, a kneeling Madonna was accompanied by a masked dancer dressed head-to-toe in black who freed one her bound hands. When the song concluded, the dancer took off his balaclava to reveal his identity: none other than Madonna's 13-year-old son, Rocco. 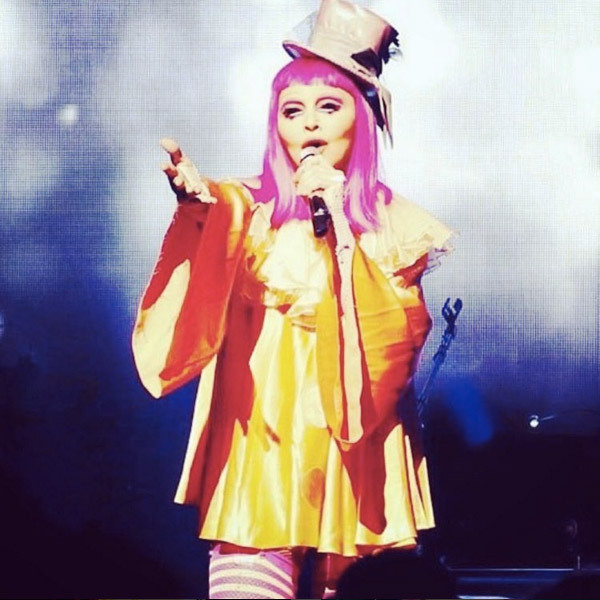 Between The Bars was again performed during Madonna's special fan show 'Tears of a Clown' in Melbourne on March 10th, 2016.